Fabiano Caruana is an American Grandmaster of Italian descent whose rapid advance into the elite ranks of chess has earned him the reputation as the next rival to Magnus Carlsen for the world championship. He is currently No. 5 in the world with a FIDE rating of 2787. The 23-year-old was born in Miami, Florida and was introduced to chess through an afterschool program as a five-year-old in Brooklyn, New York, living near Bobby Fischer’s childhood home. This same year, he played in his first tournament at the Susan Polgar Chess Center in Queens, New York. This landed Caruana his first coach, NM Bruce Pandolfini. At 10 years old, Caruana became the youngest American to defeat a GM in a sanctioned event. By 12 years old, he was a FIDE master and winner of several national scholastic championships, as well as two gold medals in Pan-American Youth Championships. When it became evident that chess would be his future, Caruana and his family moved to Europe. Caruana was a four-time Italian national champion and today is one of the hottest players on the global scene. He crossed the super-elite threshold of 2800 after winning the 42nd Sparkassen Chess Meeting in Dortmund, Germany. He was the eighth player in history to pass the 2800 barrier. He secured the tournament win in the penultimate round without losing a game. In 2014, Caruana achieved two impressive results - he placed second behind Magnus Carlsen in the World Rapid Championship and won the Sinquefield Cup with a remarkable score of eight and a half out of ten. In early 2015, after spending ten years as a member of the Italian Chess Federation, Caruana rejoined the United States Chess Federation as one of its strongest members. 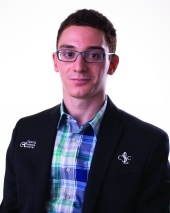 Caruana hopes to make 2016 his most successful year to date. In addition to his first U.S. Championship appearance, he will compete in the March 2016 World Championship Candidates’ Tournament for the right to play for the World Title later in the year. The 2016 U.S. Championship is an elite national championship event, featuring 12 of the strongest chess players in America. Over the course of eleven rounds, these competitors will battle for $294,000 in prize money, qualification into the World Championship cycle, and the coveted title of 2016 U.S. Champion.